Are you considering seeking loan Modification Help in Houston? A Loan modification is when a bank or lender agrees to change the terms of your loan. This is usually in response to the borrower having difficulty making the payments on the loan. Monthly payment amounts, interest rate adjustment, and the term or length of the loan are usually the factors modified. Loan modification is not refinancing and it usually won’t save you any money, if fact, it will likely spread your house payments over a longer period of time and end up costing you more money in the long run. It may allow you to stay in your house and avoid foreclosure though so it is worth looking into if you are at risk of losing your house. A loan modification will not affect your credit rating to the degree that a bankruptcy or foreclosure would. Also, Do NOT pay a company upfront when seeking Loan modification help in Houston! The number one way to know you are NOT dealing with a compliant loan modification assistance company is if they require a payment upfront. Under the mortgage assistance relief services rule, NO company providing these services can charge a fee up front. Companies that provide mortgage relief services are not allowed to charge interim fees. This means that they cannot charge you for a consultation, gathering financial information, preparing or reviewing documents or for communicating with your lender. If you do not receive the services that you think should have been provided, the loan modification assistance companies cannot mislead the terms of any refund from the funds you paid them. Mortgage Loan Modification – Who Is This For? There are several reasons why a borrower might need loan modificaiton help in Houston. Some of the more common reasons are due to financial hardship or a change in one’s income. Medical bills, job loss, adjustable interest rate increases, divorce, or just about anything that causes a reduction in funds normally used to make the mortgage payments. Banks and other lending institutions will have policy and procedure to govern the loan modification process so you must apply if you want to see if you qualify. This program was formed and funded by the federal government in 2009 to require banks that took TARP money to offer loan modification to borrowers whose loans are backed by Freddy Mac or Fannie Mae. You can find out the current requirements of the HAMP by accessing the website here. The loan modification process should be straightforward in most cases but it is not uncommon for a bank to make the process more difficult. Many banks will not consider a loan modification unless the borrower is two to three months behind on their mortgage payments even though the government guidelines do not require this. Another common complaint heard about bank loan modification programs is that the paperwork gets “lost” repeatedly, requiring the borrower to request an additional paperwork package to fill out again and resubmit. Or the loan modification department claims they never received your application package. So keep copies at hand and document all phone calls, emails, and all actions you take with your lender. Once the loan modification process is started, many banks will stop accepting payments from the borrower pending the outcome of the loan modification. They may also have their foreclosure department preparing to take your property to sale concurrently with the loan modification. They are prohibited from foreclosing on your property before the loan modification is approved but if it is not approved, they only must delay foreclosure for 30 days. Since the bank has been preparing for foreclosure at the same time as the loan modification, called “dual-tracking,” they are able to foreclose immediately after the 30 day wait period after denial of the loan modification. Loan Modification Scams – Don’t be fooled! Do not pay a company to submit your applications and documents! There are free counselors available in the HAMP program that will assist you with everything you need. Check out the HAMP website here. 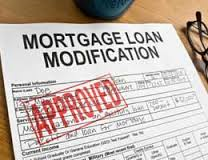 If you do not qualify for a loan modification, you do still have options. A bankruptcy will have devastating effect on your credit rating but you can solve your problems without filing Chapter 13. Selling your house is much better than Chapter 13 Bankruptcy because that only delays the foreclosure. If you cannot catch up your payments you may be facing foreclosure again soon. One little-known option is to enlist the help of a house-buyer who can buy the house fast for cash. Instead of selling through an agent (and hoping they can find a buyer, which can take months), you can work with a house-buying company (like what we do here at Lennox Home Buyers) and they’ll often buy your house as-is for cash, usually in as little as a few days. It’s fast, simple, and doesn’t require any work. This was you will SAVE your credit, time and the many headaches with dealing with the bank.